"Not for the Faint of Heart; Lessons in Courage, Power and Persistence." 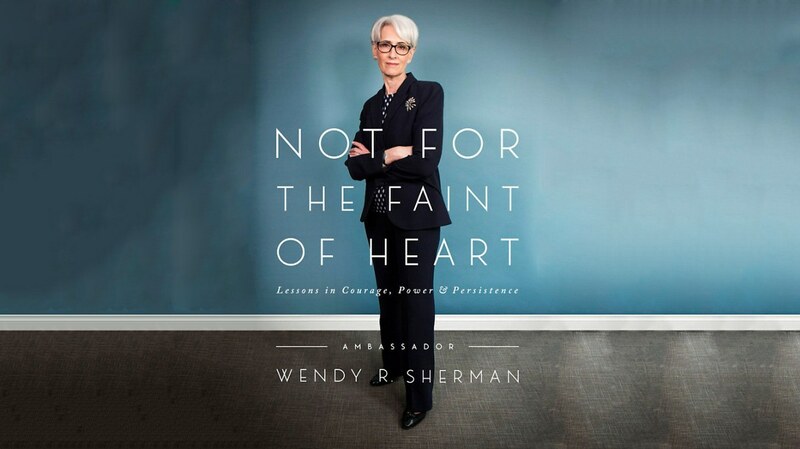 By Wendy Sherman Photo courtesy of the author. Wendy Sherman spent 27 days locked up in a European hotel with Iranian negotiators. Now, Donald Trump’s withdrawal from the Iran nuclear deal is a new challenge for the woman who finalized the deal. She started out as a social worker and chaired a successful U.S. Senatorial campaign before becoming a diplomat. She came close to a nuclear deal with North Korea with Madeleine Albright, Secretary of State for Bill Clinton. In her book, she uses those and other experiences to explore the obstacles faced by women not just in international diplomacy but ordinary life as well.